Plan to Save Orcas Hashed Out, but Will It Be Enough? OLYMPIA, Wash. (CN) – Three dozen potential actions intended to prevent the extinction of Southern Resident killer whales have hit the desk of Washington Gov. Jay Inslee, but a key member of the group behind the plan says the one action strong enough to give the whales a good chance at survival was too politically charged to make the list. 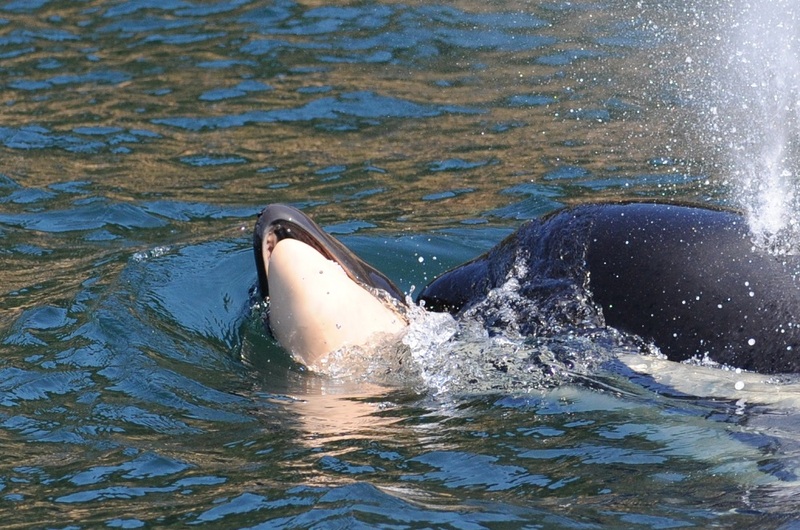 The Southern Resident Killer Whale Task Force handed a suite of proposed actions to Gov. Inslee on Nov. 16, including more than a dozen aimed at easing the top problem the whales face: starvation from a lack of endangered Chinook salmon. Other recommendations would diminish the onslaught of toxic chemicals flowing into the Salish Sea, where the whales live, and reduce noise from ships moving through the whales’ hunting spots that interfere with their ability to navigate and find food. Inslee will decide which of the actions to approve and which to include in the state’s 2019 budget proposal. The task force is seen as a last-ditch effort to keep an iconic population of whales from going extinct. “What is at stake? The Salish Sea, the salmon, the orca and ultimately the ecosystem,” task force co-chairman Les Purce said at the group’s final meeting before issuing the report. But a prominent task force member says the one thing that would actually save the whales was too politically fraught to make the list. The task force’s own evidence shows that breaching or removing the four dams on the Lower Snake River would provide enough Chinook salmon for the whales to be well fed within three or four years. But that would have required the support of task force members on the rural side of the state who depend on the dams to irrigate their crops and regulate river flows that barge crops to market. 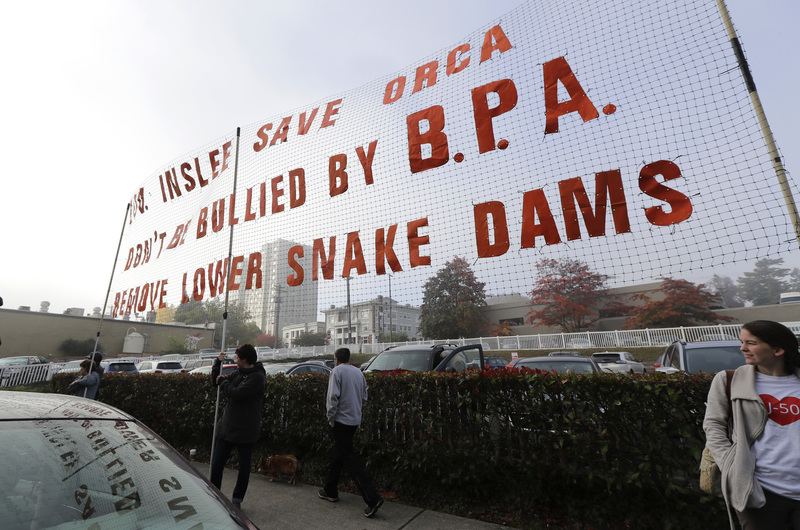 Ken Balcomb, senior scientist for the Center for Whale Research who has performed the Southern Resident census since it began in the 1970s, said he was “dismayed” the task force hadn’t called for the breaching or removal of the Snake River dams. Balcomb called the remaining measures “ho-hum” and said they don’t go far enough to save the whales from extinction. Saving the 74 remaining southern resident killer whales from extinction is a complex job. There are grave shortfalls in multiple links in the whales’ food chain. Various populations of Chinook salmon – the whales’ main food source – are either threatened or endangered. And the smaller fish upon which the Chinook depend have also dropped in number, as have the plankton that those smaller fish eat. Southern Residents have so little to eat that they depend on the fat in their bodies for energy. The chemicals stored there recirculate in their tissues and harm their endocrine systems. Two-thirds of the whales’ pregnancies have failed since 2007. None of the calves born in the last three years has survived. The whales face many problems, but all their difficulties are tied to the lack of food. Transient killer whales, which move through the ocean and occasionally hunt in the Salish Sea, where Southern Residents live most of their lives, eat much more abundant sea lions. Transients swim through the same toxic waters as Southern Residents, but because they get plenty to eat that toxicity stays in their fat stores and they are able to maintain normal reproductive rates. This fall, scientists noted that at least one female in each of the three pods that make up the Southern Resident population is pregnant. 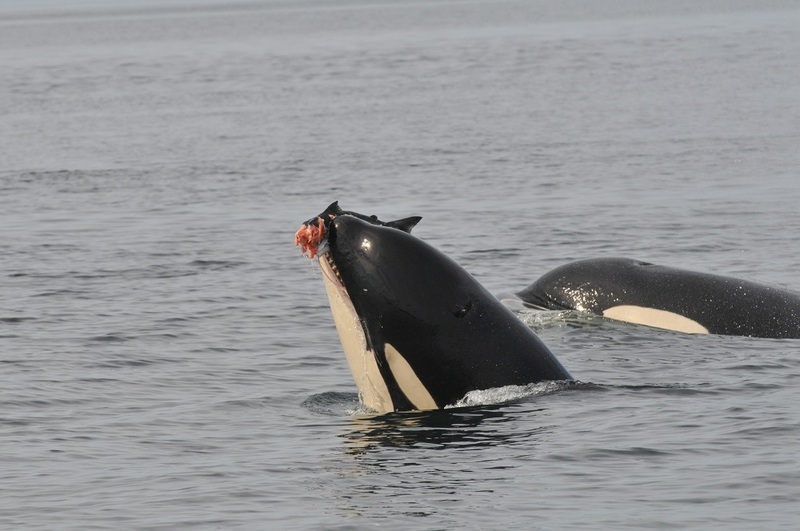 But the whales’ ability to deliver healthy calves and those calves’ ability to survive depend on their mothers having enough food to eat – and that means more Chinook salmon. On a cold, sunny day in November, the task force met in Puyallup, Washington, for the final meeting before turning in the report to Inslee. In a huge open hanger, a square of tables seated 60 task force members. Inside that square was a circle. Nine seats with rotating participants talked through the last issues the task force still didn’t agree on. First up were the most contentious: increasing the amount of water spilled over dams in the Columbia River Basin and breaching the four dams in the Lower Snake River. Task force co-chair Stephanie Solien opened the meeting by congratulating the group on having so far reached consensus on 30 recommendations. But she said the day’s decisions would be tough. Spilling more water over the dams helps young salmon survive the trip out to sea. The spill recommended by the group would increase the number of Chinook salmon returning to the Columbia River Basin from 156,000 to 646,000 per year. But it’s controversial because spilled water could instead produce electricity by going through dam turbines. That increase alone is not enough to save the Southern Residents, but it might be if combined with breaching the Snake River dams. Together, those two actions would result in an additional 1 million returning Chinook, according to analysis provided to the task force. Task force members cycled through the small circle of seats in the middle of the hangar to discuss spill and dam removal. They struggled to find language all could agree on, or at least, under the group’s consensus model, not oppose. But Tom Davis, spokesman for the Washington State Farm Bureau said the voices from the rural side of the state were missing. Mindy Roberts, Puget Sound program director for the Washington Environmental Council, said the various sides of the state all had to do their part. Inslee asked the task force to propose “bold actions” and leave the politics to him, but rural vs. urban disputes appear to have stymied the boldest and potentially most effective action. This past August, the task force was presented with clear science on how breaching the dams would help the whales, but the group’s final report called for a committee to study the issue. The group approved a recommendation to “establish a stakeholder process to discuss potential breaching or removal” of the dams. Members at the November meeting decided they wanted to study the effects such an action would have on the communities along the Snake River. Balcomb worried that the decision could be the difference between survival and extinction: “It looks like the Southern Resident killer whales are stuck with the failed status quo,” he said. But he said he and his allies were moving ahead, and had just returned from a trip to Washington, D.C., to encourage quick dam removal.